Ha! 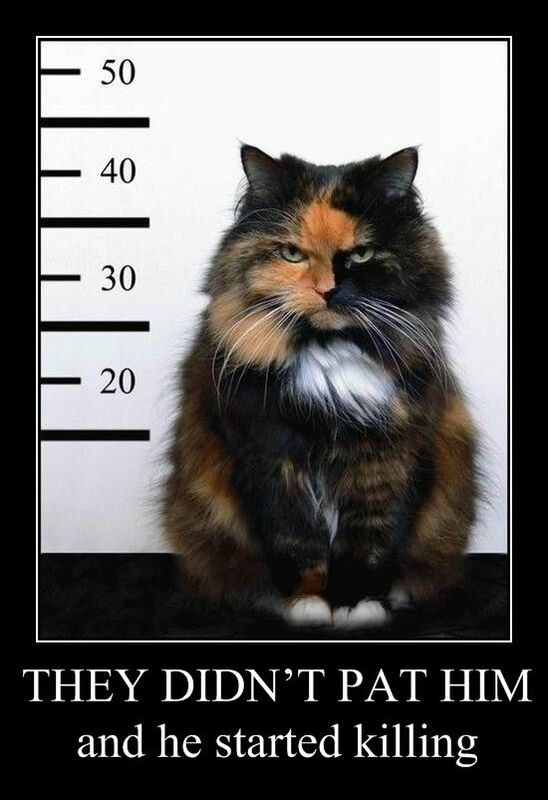 thats one pissed off looking cat! I don't know about the cat, but this is a good place to put my 1000th post. ^ You shoulda went and thread jacked hammer's 7,000 post thread. interesting kitty \/ Happy now SAR???? Thread jack?? At least I mentioned the cat! Looks like my cat, just flufier. icanhascheezburger.com is a great site for lolcats where you can even make your own! Cats rule!